Whether you’re into trading the majors or the currency crosses, I got yo back with these hot trend retracement plays on EUR/USD and AUD/NZD. Check ’em out! EUR/USD is flirting around the 1.1250 handle, which is juuuust below the 100 and 200 SMAs on the 4-hour time frame. What makes the setup more interesting is that the level is also near a descending channel resistance that hasn’t been broken since the start of the year. 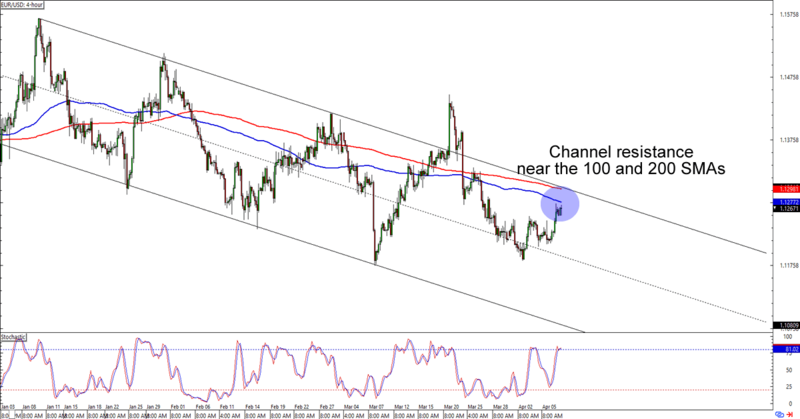 Can euro bears extend EUR/USD’s downtrend? I’m not seeing fresh bearish momentum just yet, so y’all might want to wait before placing your shorts. Or you could jump in at current levels. Why not, right? Just make sure you’re confident in your bias and you’re managing your risks! AUD/NZD looks like it’s gunning for the 1.0600 major psychological level, which is right smack at an ascending channel support that it had broken in November. 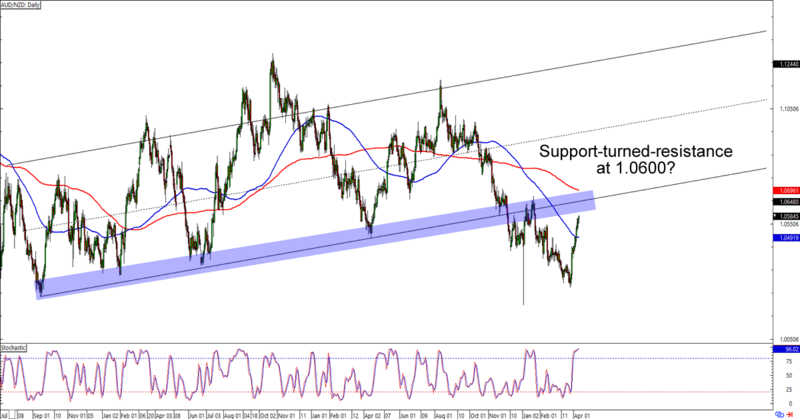 Are we about to see a support-turned-resistance action in the making? The pair hasn’t reached the big 1.0600 yet, so you still have time to make your trading plans on this pair. If the bears successfully defend the 1.0600 handle, then AUD/NZD could drop back down to 1.0450 or even 1.0300. If the pair ends up going back to its uptrend, however, then you might want to aim for the areas of interest near 1.0850 or 1.0950.